American Hotels – These are large chain hotels with larger rooms (smaller compared to rooms in America) and usually the most expensive option. Italian Hotels – These are smaller hotels with smaller rooms at a very reasonable prices. Breakfast is often included with the room charge. You can get a private bath in your room or share a bath in the hall. We prefer private baths. Be sure you have this if you also prefer it. B&B’s – Like anywhere in the world these provide rooms and meals. The price is expensive and usually between the price of the large hotels and the smaller Italian hotels. Agriturismo – These are nice small family owned hotels that are part of a farm or ranch. The food is locally grown (usually on their property), organic and delicious. Rooms are modern and comfortable. You can usually also contract for lunch and lunch & dinner as well. House or Apartment Rental – These can be the largest and best priced depending on the area especially if you are traveling with other couples. In Paris we were four people and rented someone’s apartment. It was large, comfortable with two bedrooms and two baths. The price was cheaper than two hotel rooms. Once you decide on what type of place you prefer, investigate options in the cities you will visit. Use sites like TripAdvisor to get other people’s opinions of the property. Remember that their opinions can be very different from yours. We never worry about negative reviews that say small rooms. We expect small rooms in Italy. Be sure to investigate where your hotel/rental choice is located compared to the sites you want to see. Try to get centrally located hotels (these can be the most expensive but will save time going and coming to the sites). Booking your hotel with airfares on discount sites like Orbitz can get you a discount on the hotel. Check multiple sites and compare prices. Look at pictures posted of your choice and determine if it is the right choice for you. Booking hotels on discount sites usually charge your card when you book not when you arrive. Hotels in Italian are Albergo or just Hotel (the H is always silent in Italian). If breakfast is not included do not pay extra for it. Breakfast in Italy is very cheap. You find a bar near your hotel (they are everywhere). At Italian bars you can get Caffè (espresso), Cappuccino, Coffee Americano (an espresso in a larger cup with more water) and mastery choices. A Caffè and cornetto will cost you between 2 and 4 Euros ($2.20 to $4.40). Italian croissants are called cornetto. They come plain, filled with chocolate or jelly and filled with cream. 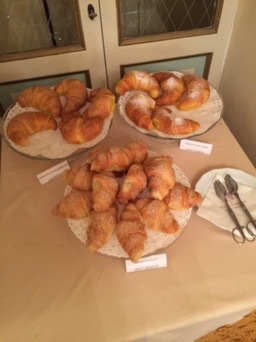 Pastries in Italy are not as sweet as in America. They are delicious. Tomorrow we will look at car rentals for your trip if you plan to drive. 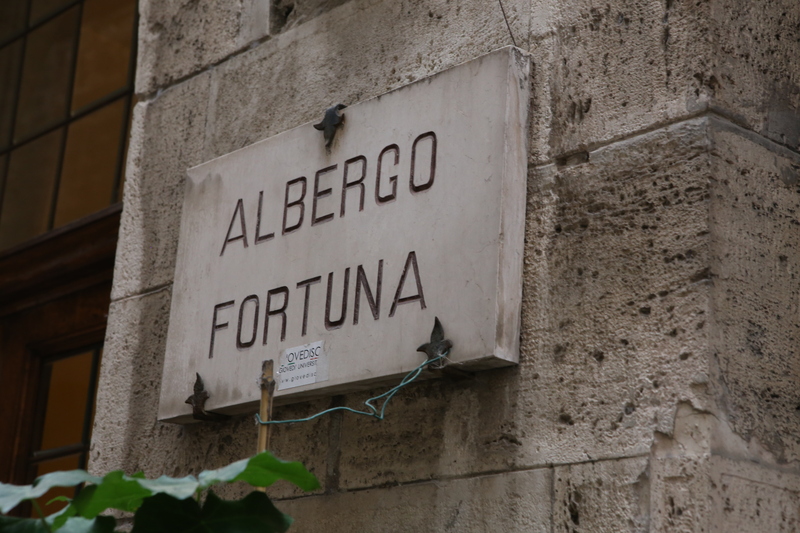 I’ve always enjoyed staying in an albergo, B&B, and agriturismo while in Italy. How iften do you get to go? About the same as us. In 3 years my wife will retire and we will spend half time there.